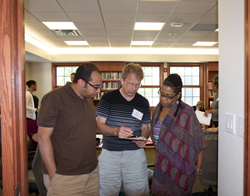 Designed for faculty members who are in their first years of teaching, this workshop will explore 21st century challenges in theological education, innovative teaching practices, and complex institutional ecologies. We invite applicants who are interested in joining a community of collaborative inquiry to wrestle with questions such as: What does it mean to teach disciplines differently? What does it mean to teach in ways that generate new learning? What does it take to (re)imagine pedagogies and curricula for responsible teaching in changing local/global situations and contexts? What does it take to navigate institutional cultures and realities in ways that are liberative and bring about wellness? The workshop will gather 14 faculty members for a week in two successive summers and a weekend winter retreat in Corpus Christi, Texas. There will be a balance of plenary sessions, small group discussions, workshop sessions, structured and unstructured social time, and time for relaxation, exercise, meditation, discovery, laughter, and lots of good food and drink. Participants will receive an honorarium of $3400 for full participation in the three workshop sessions, plus local expenses and travel. Participants are eligible to apply for a $5000 workshop fellowship. These awards are for projects that emerge from the conversation and ideas of the workshop, in consultation with the leadership team, and are conducted during the year following the workshop. Front Row: *Gay Byron (Howard University School of Divinity), Carlos Cardoza-Orlandi (Perkins School of Theology, SMU), *Mai-Anh Le Tran (Eden Theological Seminary), *Dwight Hopkins (University of Chicago Divinity School). Second Row: Angela Parker (The Seattle School of Theology & Psychology), Carolyn Browning Helsel (Austin Presbyterian Theological Seminary), Sharon Jacob (Phillips Theological Seminary), Leanna Fuller (Pittsburgh Theological Seminary), Sophia Park (Neumann University), Timothy Hartman (Columbia Theological Seminary), Deanna Ferree Womack (Candler School of Theology – Emory University). 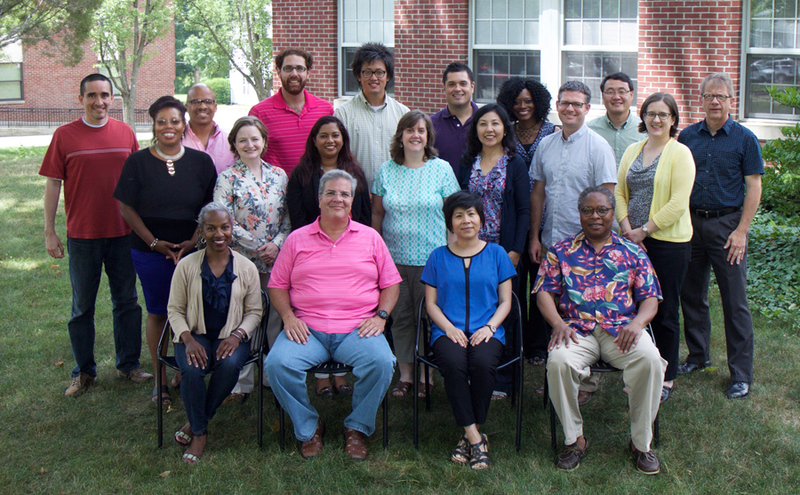 Third Row: Julián Gonzalez Holguin (Church Divinity School of the Pacific), Danjuma Gibson (Calvin Theological Seminary), Adam Ghali (Fresno Pacific University), Michael Chan (Luther Seminary), Peter Anthony Mena (Phillips Theological Seminary), Lisa Bowens (Princeton Theological Seminary), Daniel Shin (Interdenominational Theological Center), Paul Myhre (Wabash Center).